Stile Products recently announced a recall of approximately 175 Tern folding bicycles due to a recently discovered fall hazard. According to the U.S. Consumer Product Safety Commission, there have been two reports of the frame cracking near the hinge on the top tube, causing bicyclists to fall and sustain minor injuries including scrapes and bruises. The recall applies to Tern's Eclipse S11i and Verge S11i, X10, X20, X30h models. The Eclipse model is silver and black, while the Verge models were sold in a number of different color combinations. The bicycles were sold nationwide by authorized Stile and Tern dealers from January 2012 to May 2013 for $1800 to $3000. Purchasers of the recalled Tern bicycles should immediately stop riding them and contact Stile Products or take the bicycle to an authorized dealer. Stile Products will provide customers with a free replacement frame and have it installed at no cost to the customer. 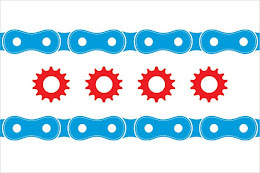 The Illinois Bicycle Attorneys at Keating Law Offices strongly encourage Illinois' cyclists to stay informed regarding recalls that effect their bicycles or other cycling equipment. While manufacturers rarely intend to knowingly sell defective products, recalls are a reminder that product defects posing serious risks to cyclists can be discovered once a product is already on the market. It is important to monitor the safety of your bicycle and cycling equipment both before and after a purchase. Under Illinois law, the manufacturer of a product can be held liable when their product fails and the person was using the product in a reasonably foreseeable manner. This means that if a bicycle crash occurs because a part of the bike broke or failed during normal use, the manufacturer of that product would be responsible for any injuries or other damages suffered by the rider. The attorneys at Keating Law Offices have handled numerous product liability cases. If you have any questions regarding a product liability case or other personal injury matter, please contact the firm at 312-239-6787.